For a pool construction company that understands the process of smooth pool construction, come to Arturo's Pool Plastering. We have experience in custom pool construction and are proud of the pools we've build in Pasadena, TX. We're a BBB-accredited business, and our aim is to uphold our reputation for excellent service and deliver the results you want to see. We offer an endless array of shapes and sizes to help you design the pool you've been dreaming of. 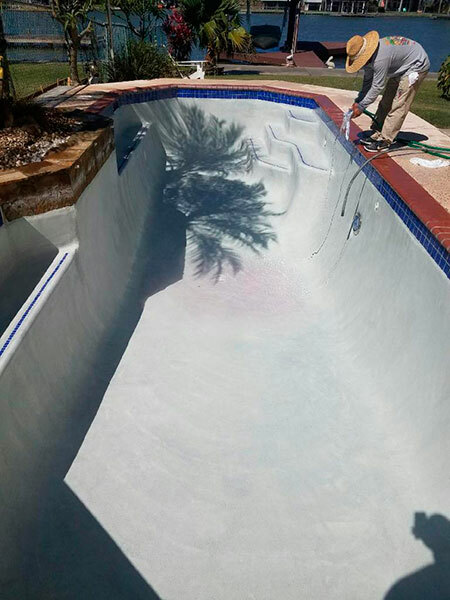 We'll also undertake large pool upgrades and maintenance needs; we can install a solar water heater, replace old equipment, or install new concrete decking. From planning to completion, we follow a meticulous process and ensure every step is done properly without cutting corners. Arturo's Pool Plastering is an established pool construction company serving Greater Pasadena and the surrounding area. Call us today to schedule an appointment with our staff. We're open extended hours throughout the week, and we're also open on Saturdays, 9am - 5pm.